Healthix and InterSystems push clinical alerts, Versus finds a real-time locating system badge, and Vaporstream debuts automated workflows within its clinical communications system. 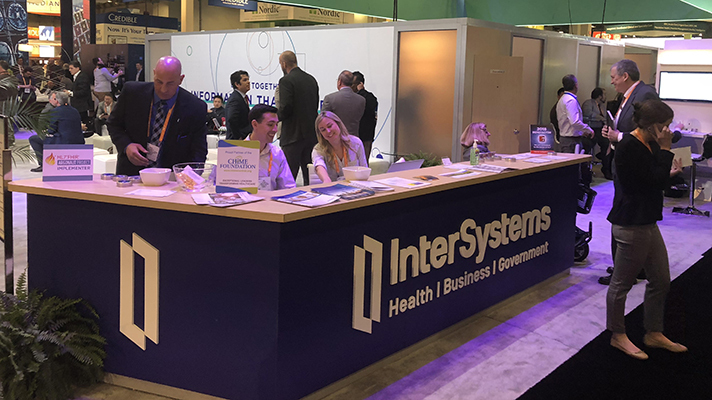 Healthix, a New York health information exchange, has launched at HIMSS18 a program built upon vendor InterSystems’ HealthShare platform that nearly doubles the number of alerts that clinicians can receive about the care status of their patients. During the past year, Healthix has generated more than 7.3 million alerts for more than 180 organizations and 16 million-plus patients in its system, the HIE said. However, nearly 6.5 million alerts could not be sent to providers and care managers without patient consent, potentially delaying the care management and intervention process for patients, the HIE explained. To expand upon its capability to support coordinated care, Healthix has devised a new notification system, known as Essential Alerts, that informs clinicians about changes to their patients’ care status in a way that conforms to New York State’s strict patient consent policies. For example, a physician involved in a treatment relationship with a patient could be notified that his or her patient has been admitted to the emergency department of nearly any hospital in the New York City region with a complaint of chest pain, even if the patient has not given explicit permission for the information to be shared. The information is limited to the patient’s name, initial complaint, hospital, date and time. Elsewhere at HIMSS18, Versus, a vendor of staff workflow and patient flow technology using real-time locating systems, unveiled a new locator badge for patients and staff. Featuring dual infrared and radio frequency signaling technology that provides location accuracy in a smaller, lightweight form factor, the Clearview Mini can be considered four wearables in one, the company said. With two options for the wrist and two for the lapel using standard attachments or reusable silicone accessories, one badge provides multiple options for patients and staff: standard clothing clip, lapel clip, wrist using reusable silicone wrist accessory, or wrist using a standard hospital band. The Clearview Mini is available with a programmable button or without. Midmark acquired Versus Technology in 2016 creating a clinical workflow solutions company designed to encompass clinical workflow services, RTLS technology, medical equipment, diagnostic devices and more. The new Versus RTLS badge can be seen at the Versus-Midmark Booth at HIMSS18, #5850. On another workflow and communications front, Vaporstream, a vendor of secure and compliant messaging technology, has debuted the addition of automated healthcare workflows to its communications system, offering providers a HIPAA-compliant secure messaging platform with automated patient care communications. The Vaporstream platform automates routine communications such as the appointment reminder process for clinical care teams, as well as secure communications like pre- and post-surgical engagement, educational and motivational workflows, and discharge procedures that require details about the patient’s care, medications and more. With the new workflows, Vaporstream’s healthcare clients can now also automate and secure communications among specific patient populations, such as those with heart disease, cancer, type 2 diabetes, obesity, arthritis and many other chronic conditions. The company is demonstrating its Vaporstream Secure Communications Platform at HIMSS 2018 at the Cybersecurity Command Center in Booth #8500, Kiosk 27.